The trailer also showed us a glimpse of our favorite characters, along with some new faces! The cold actually does bother us, anyway. However, Elsa plunging into the sea when her ice shatters hints that Frozen 2 isn't going to be as upbeat as the original. Joining them will be Evan Rachel Wood (Westworld) and Sterling K. Brown (The Predator). The movie is set to hit theaters November 2019! It sort of felt more like a Marvel movie than the a Disney Princess flick anyway, the change in music just takes things another step forward. 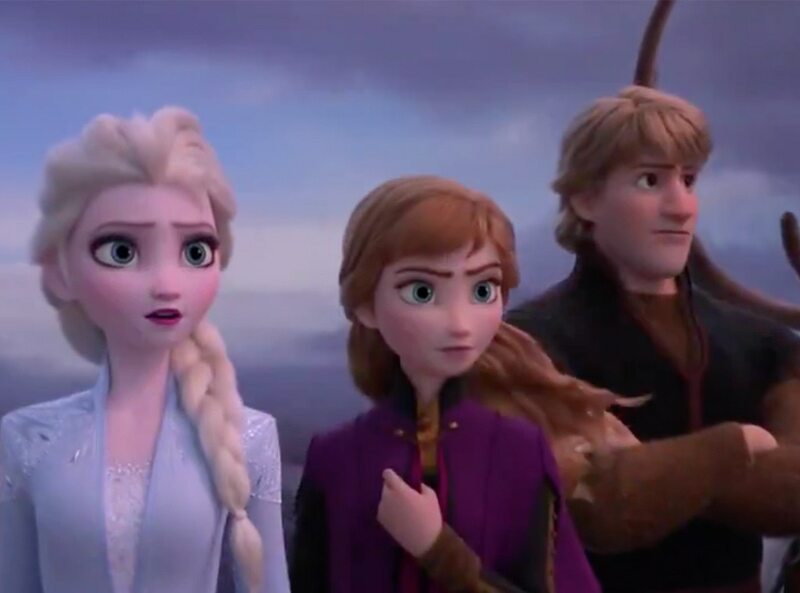 Disney on Monday released the first trailer for Frozen 2, the hotly anticipated sequel to the Academy Award winning blockbuster, Frozen. The teaser starts off with Elsa watching the rise and fall of the waves as a storm brews overhead. Idina Menzel, who plays Elsa, and Kristen bell, who plays Anna, attend the 2014 Oscars.